Medicated cream for temporary pain relief. Also used as an aid for massage. 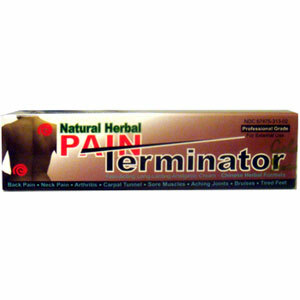 Back Pain, neck pain, arthritis, carpal tunnel, sore muscles, aching joints, bruises tired feet, strains, sprains. Clean the affected area before applying the cream. Apply and massage not more than 2 to 3 times a day. Try small area first to test for sensitivity. Children under 4 years of age should not use, unless consulted by a physician. For external use only. Avoid contact with eyes or mucous membranes. Do not apply to wounds or damaged skin. Do not use if skin is sensitive or have allergies to any ingredients in this product. Discontinue use and consult a doctor if signs of irritation or rash appear. In case of ingestion, seek professional assistance or contact a Poison Control Center immediately. If pregnant or breast feeding consult a doctor before use. Keep out of reach of children.